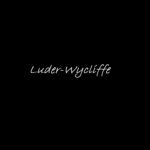 Luder Wycliffe | Home of the World's First and Only Eschatology Degree Program Luder-Wycliffe Theological Seminary and Biblical Institute. The tuition cost of a Dissertation program is a straight fee since it is not earned in the traditional study format. Below are the listed cost for our dissertation programs. 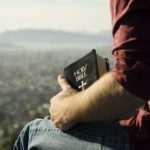 All students are expected to become familiar with the financial obligations they will incur while attending Luder-Wycliffe Theological Seminary and Biblical Institute (LWTS). All course expenses do not include books, supplies, fees, or personal expenses. LWTS students are required to pay for their degree program IN FULL before they are permitted to begin their studies. ** LWTS no longer allows the monthly payment option for students. 1. (a) Payments may be made online through our website PayPal portal on the same page as the degree program being sought. FOR EXAMPLE, the PayPal Tuition Button for the TH.D. program, will be on the TH.D. Program page of the website. (b) Students that qualify may go through PayPal and have the option to borrow money from PayPal and then make monthly payments back to PayPal. (c) Personal loans may be sought online or through a local lending agency, which is also a good option. *Please include student name and ID # on all checks and money orders. 1. An individual whose spouse is enrolled will receive 50% off of their tuition while all of the above policies will continue to apply. 2. The spouse who is pursuing the highest degree will pay the full tuition price while the spouse who is pursuing the lesser degree will receive half off of their tuition. Refunds will be given up to 15 days, less a $250.00 admin charge. Prospective students are highly encouraged to approach their local church, Christian Corporation, friends or relatives to inquire if they may be willing to pay some or all of his/her tuition and fees.